When the kind people at Skooter lent us one of their electric Scooters to try out one weekend; we knew there was gonna be some fun in store. There are many ways to get around Singapore but we must admit, we've never thought about an electric Scooter before. It turns out that it is fun, convenient and is another alternative for travelling short distances. We could see how it would complement other modes of transport; you can switch between your Skooter and the Bus for example, as Skooter is quite portable. The first thing we noticed is that the Skooter appears to be quite robust. It's of solid build and the look and feel isn't cheap and nasty. We only had it for a short test period so not sure of the life span; but on first impression, Skooter simply looks and feels good. We got it to strike a few poses on a balcony for us. For those that wish to use it at night, there is also a rechargeable light on Skooter. You can see it just above the front wheel in the picture. It can also be folded down as well and this was great for storage or if you needed to board a Bus or MRT. 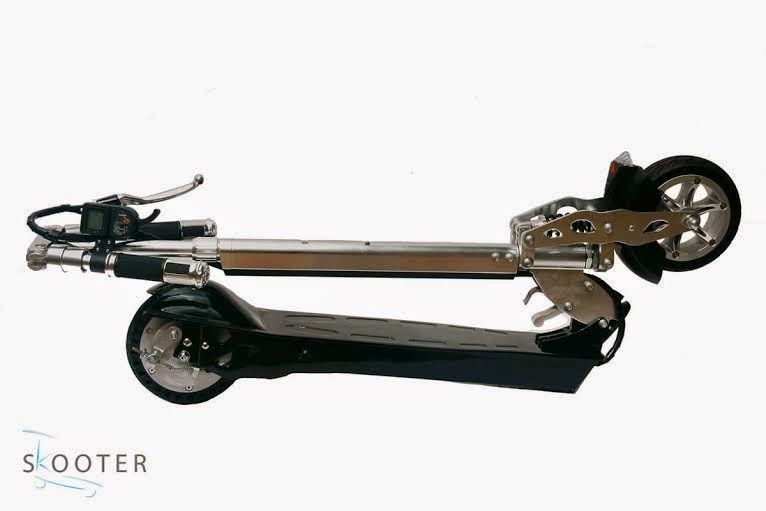 The handle bar simply folds down and it becomes a carry handle instead so that you can lift your Skooter. As we said; perfect for those on the go and need to transit onto different forms of transport. All up; the Skooter is about 13kgs with the battery creating most of the weight, so you'll need a bit of strength to carry it. The battery charges in about 3-4 hours and we've been told it can go for a distance of about 35km on a single charge. This isn't too bad. Now onto the fun stuff; the actual zipping around on the Skooter. First thing is you'll need pretty good balance as you're basically standing on a moving platform with 2 wheels. If you can ride a Bike, you'll have no problems getting the hang of it. The platform itself is solid, stable and has enough room to put both your feet on it if needed. 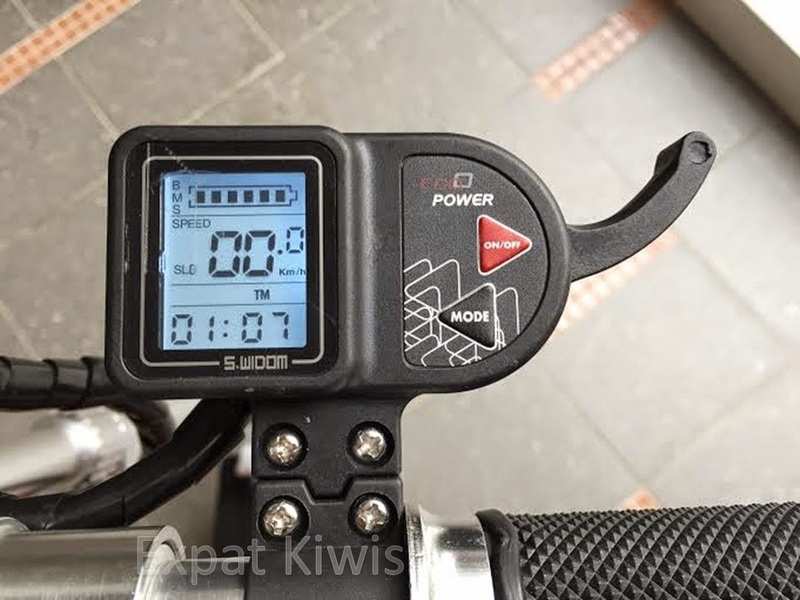 To get the electric motor going; just push yourself off and trigger the "gas" lever by the right hand handle bar with your fingers (trigger shown in the picture below along with the little console that shows all the functions). The motor will come to life and off you go! The brakes are on the left handle bar. Now; I can hear you speed demons asking, how fast can Skooter go? There are 2 speed settings; simply called, Slow and Fast. You can toogle this on the console. Slow is pretty tame and depending on your weight, you can hit around the 10 Kmph mark. Perfect for avoiding bumpy surfaces or going for a very slow cruise. This is a good speed for beginners until you're comfortable with your balance and ability to control your ride. Shift gears into fast and Skooter really surprises. On a straight projectile we could hit 25 Kmph! Skooter is really "flying" at this point and is super fun. Very surprised with the speeds it could hit. We could cruise with ease along East Coast Park on this speed. On the FAST mode; Skooter is awesome. Remember though; safety first. Alas; the weekend passed quickly and sadly we had to say goodbye to our temporarily fostered Skooter. Short lived but it was immensely fun. 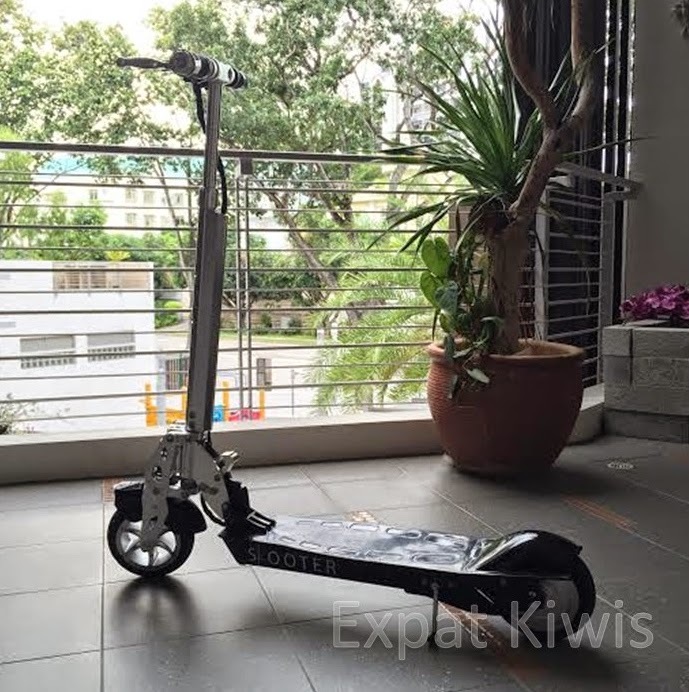 The good folks at Skooter do invite our readers to head on down to their shop at 3 Lorong 6 Realty Park, Singapore 535817, to test ride the Skooter themselves. 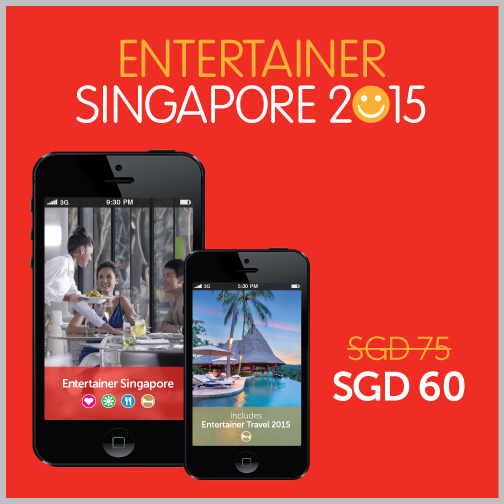 Also check out their website for more info www.skooter.com.sg. A massive thanks to the Skooter team. I haven't been to Tiong Bahru Bakery in awhile so when I spied it after a work meeting one day out at City Hall; I thought why not? 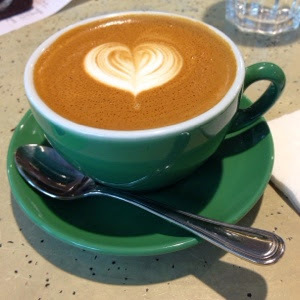 It dawned upon me that I've never written about them before; so here are some of the goodies I've tried at Tiong Bahru Bakery. What I've noticed, is that they now have their new lunch set. They've never had this in the past. 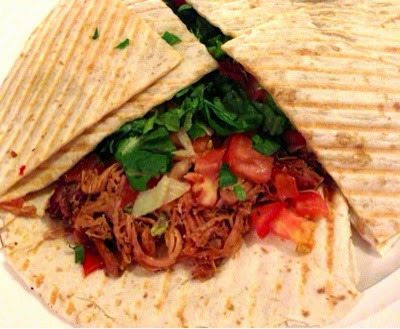 It is basically a simple Panani sandwich of your choice and a Salad. 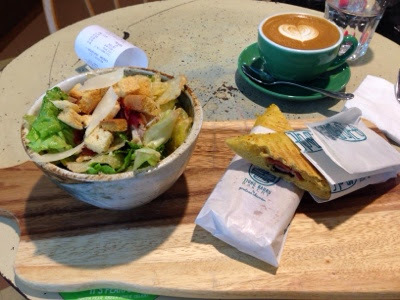 I've tried the Bacon, Mushroom and Cheese Panini which comes with a Caesar Salad. The Panini is toasted; which I love, and came with a reasonable amount of filling. Pretty standard fare but you've gotta love the stretchy Cheese. The salad had a very mild Caesar dressing on it. Not really a taste sensation but it was fresh, crispy and did the trick. Overall though; with so much more on offer, I wouldn't personally go for the lunch set again. It does feel like it's designed for people on the move and who need to eat quickly and leave. If you've got the time it is better to sit down with one of their other scrumptious Sandwiches from the cabinet. 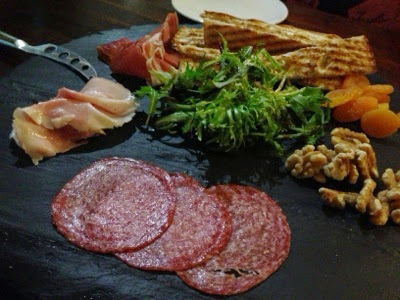 The Sandwiches are fantastic at Tiong Bahru. One of my faves is the Ham, Cheese and Rocket one. 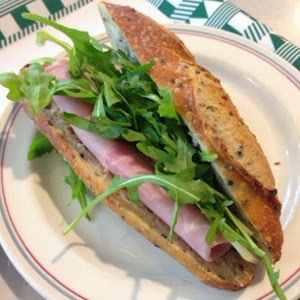 The Sandwich is laden with Rocket and attracts you with it's stunning green. 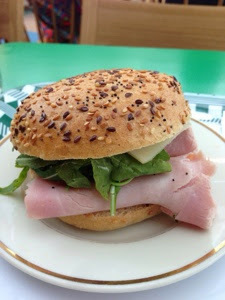 The Ham has that familiar saltiness but the pepperiness of the Rocket adds a nice hot edge to it. Simple but delicious. If you prefer, they also have the Bun version. It is softer if you're not a fan of the tougher outer layer of baked Bread. 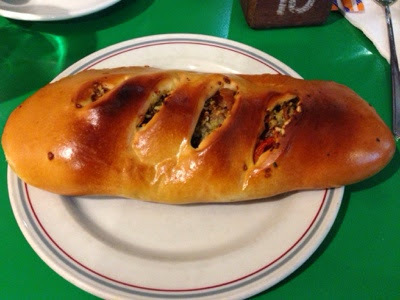 They also have one Calzone like item. It is beautifully baked with a golden brown glaze on the top and slits in the dough to give you a peek at the filling inside. 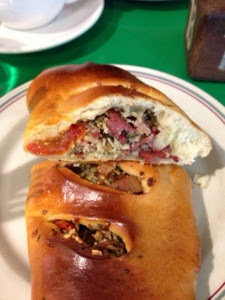 Imagine my joy when I discovered it was stuffed with a Bacon mixture; what could go wrong? The saltiness of Bacon is so good. 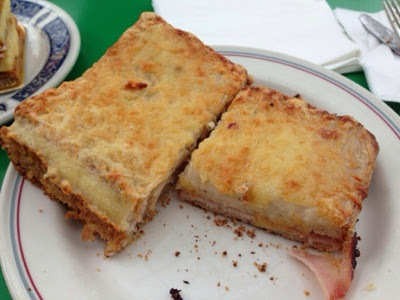 I'm sure that some of us just simply love the classics so it was awesome seeing the good ol' Croque Monsieur at Tiong Bahru Bakery. In between 2 fresh slices of Bread they've put Ham, Cheese and Sun dried Tomatoes. And of course; to round off the fillings, there is the Bechamel sauce to give it that wonderful creamy texture. On top they've sprinkled it was a bit more grated Cheese and then it is toasted to perfection; divine. 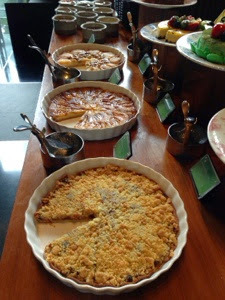 With so many wonderful savoury items; I must admit I haven't tried many of their sweet items before, only a few. 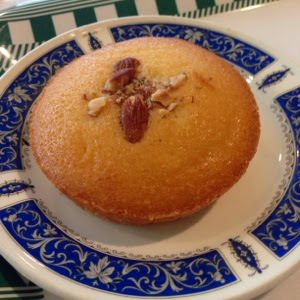 I've tried the Almond Financier which is simply amazing. I'm a sucker for Almond as well so that made it very easy to like. 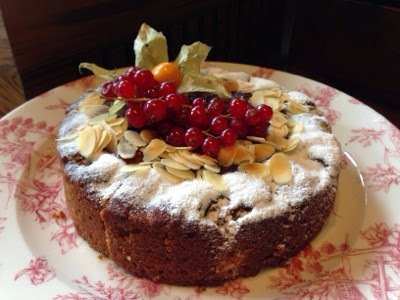 The Cake is soft and I'm sure it has some Almond Milk in it to really bring out that characteristic flavour; delicious. 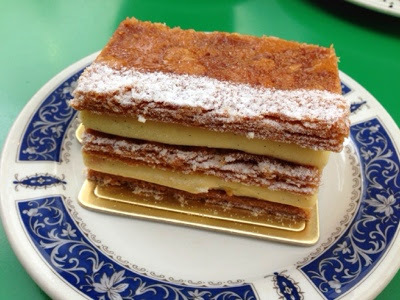 For those that love Custard, there is also the Mille-feuille that has custard in between several layers of Puff Pastry. It is also Vanilla Custard so you can see the characteristic black specks of Vanilla Bean. The Custard and Pastry is an amazing combination. One bite and you're in heaven. I must really try more of their sweet offerings. Judging by the quality of the ones I've tried, the other Cakes and Tarts would be awesome. It'll also go well with their Coffee, which is also pretty good. So whenever you're around City Hall; and in the Raffles City shopping mall, seek out Tiong Bahru Bakery. They can be found at #B1-11/12, opposite the UOB Bank. 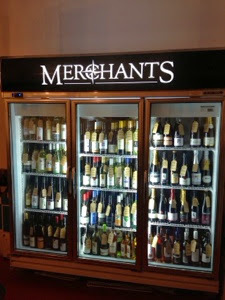 Look out for the cabinet display with all the yummy goodness in it; you can't miss it. 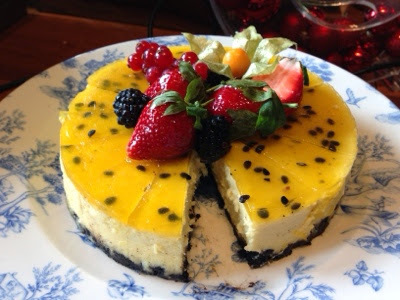 Have you tried Tiong Bahru Bakery before? What are your fave goodies? PS - Tiong Bahru Bakery has other branches too! 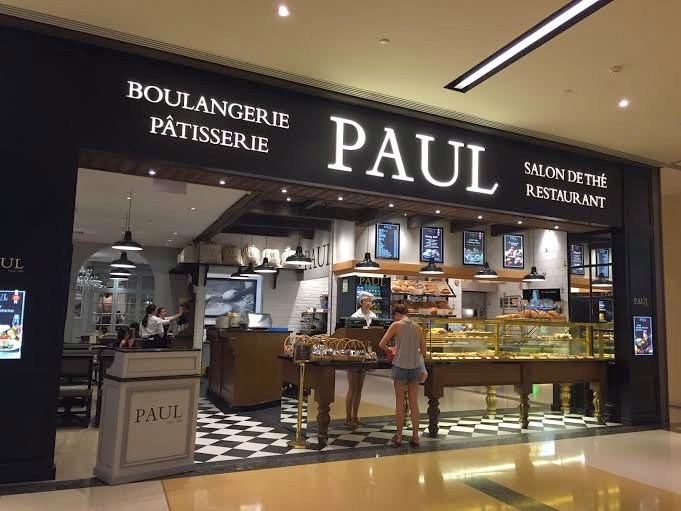 Established in 1889 in Lille, France, PAUL is known around the world with 500 boulangeries in 31 countries. PAUL's Singapore flagship store is located in Takashimaya Shopping Centre and opened in January 2012. There are further plans to expand and a 7th PAUL dining experience will be opening soon. 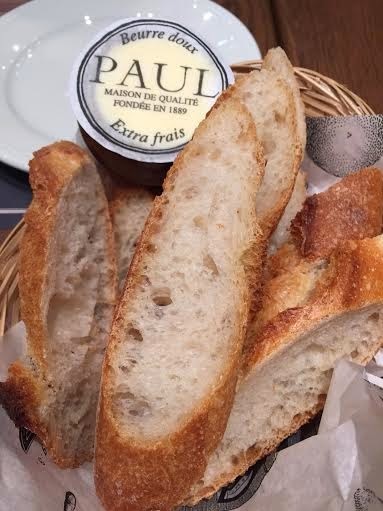 PAUL is known around the world for its traditional cooking and artisanal breads. We're quite excited that they're refreshing their menu with 26 new dishes to mark their 125th anniversary this year, and we got to sample 6 of them. 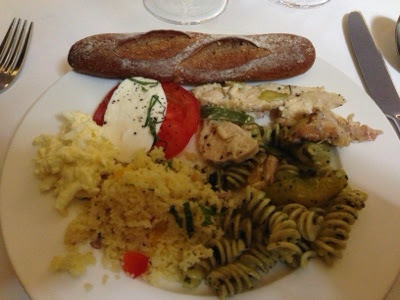 Whilst we were waiting for other bloggers to arrive, we were served bread with butter which is imported from France. It was then onto the tasting menu! We'll start with the description that Paul gave and move onto our own interpretation. Salade de la mer. 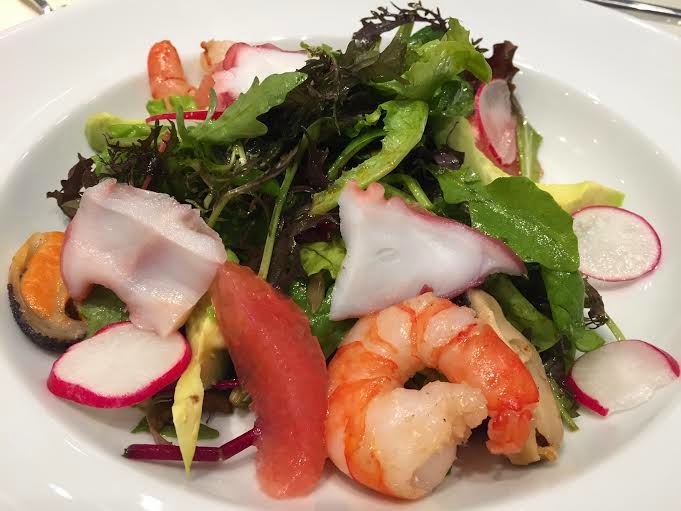 A fresh seafood salad topped with sauteed prawns, mussels, octopus, avocado, grapefruit and slices of red radish. The prawns were firm and crispy, avocados were just ripe enough, and the grapefruit and the vinaigrette dressing complimented the seafood. A refreshing way to start the tasting. It was great to see the Prawns and Octopus weren't overcooked as well otherwise they get very chewy. The Grapefruit gave that nice sweetness to the dish overall and took away the edge of the dressing. Overall a great assortment of flavours and a good blend of cold and warm ingredients. Tartine boeuf. 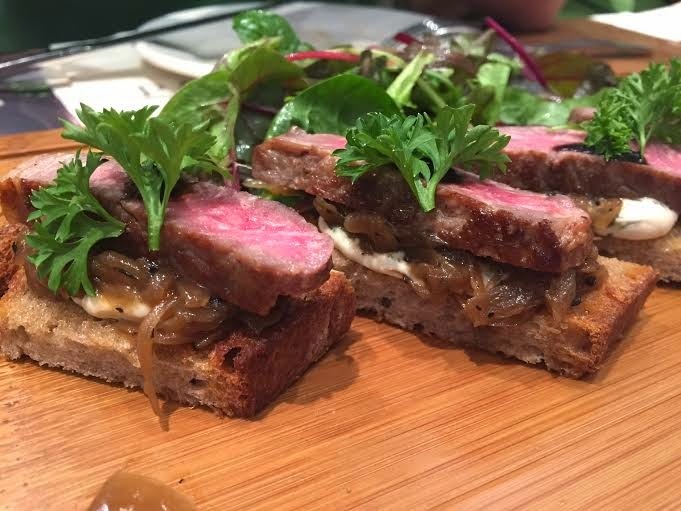 Seared sirloin steak on a bed of herb cream cheese, caramelised onions, topped with a dash of balsamic glazing. Served warm. The steak was seared to rare-medium and was tender, the caramelised onions were sweet, and the glazing and cream cheese complimented each other very well. These were gone in two bites. The steak is meant to be cooked rare-medium, so if you are wanting your steak well-done, this is probably not a dish for you. We really loved the quality of the beef; it had some good fat, which also helped to keep it moist and tender. The crispy bits of fat were beautifully sinful :) The caramelised onion was a highlight as well as it gave a nice sweetness to each bite; very much like a gourmet Onion Chutney. Longe de thon. 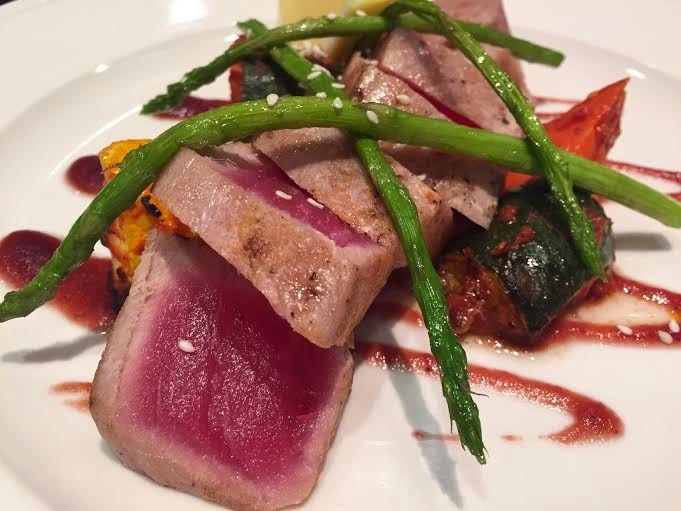 Seared tuna loin, served with roasted vegetables and seasonal cranberry sauce. 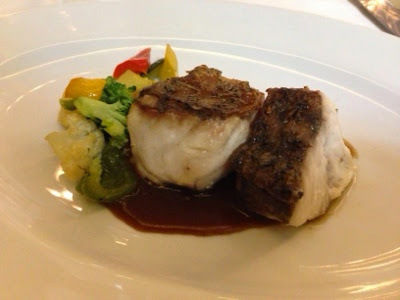 The tuna was moist and tender and the vegetables nicely roasted. The pink of the Tuna was very eye catching. A squeeze of Lemon added some acidity and made the seared flavour more alive. However, we are not quite sure about the cranberry sauce as we usually associate it with Turkey and a bit more sear on the Tuna would've been perfect. Confit de canard (duck confit). 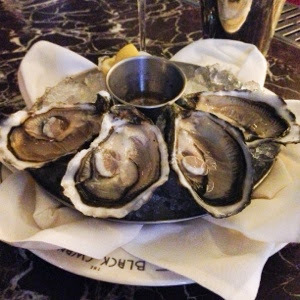 From the Perigord region of France, this is one of PAUL's favourite indulgences. 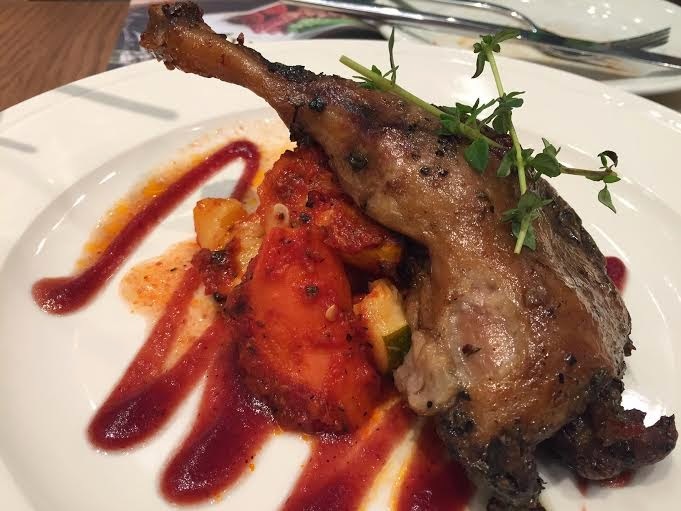 Slow roasted herb marinated duck leg, served with roasted vegetables and seasonal cranberry sauce. This dish requires two days of preparation and four hours of cooking. To judge a good duck confit, the meat falls off the bone with a slight touch of a fork. The skin was nice and salty and probably needed to be a touch more crispy. 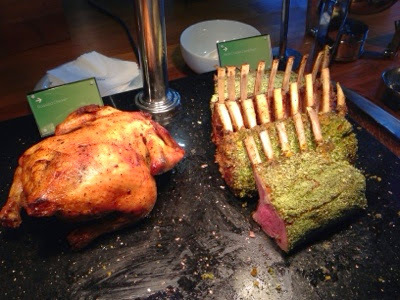 We love crispy Duck skin. It was served with roasted Vegetables and Cranberry sauce again. The sauce added a nice sweetness and reminded us of Chinese Duck dishes that have a Plum sauce. Overall this was a good Duck confit. A worthy addition to this new menu. 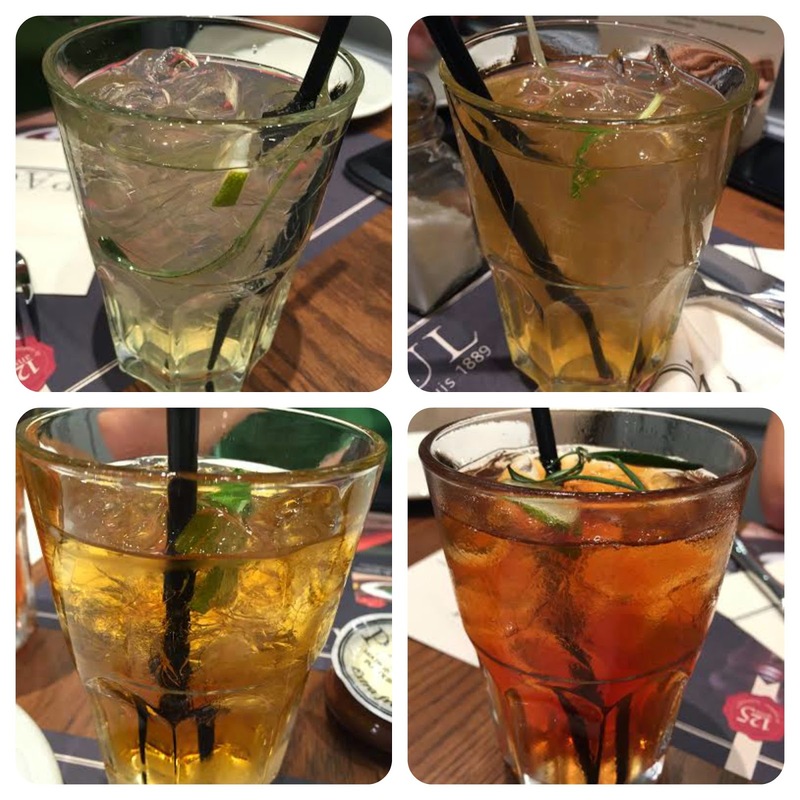 We think that the range of iced teas are fantastic and all have their characteristic flavour as per their names. The new range of iced teas is executed very well. If you don't like like them sweet, remember to let the serving staff know and they'd be happy to accommodate by not adding any sugar. 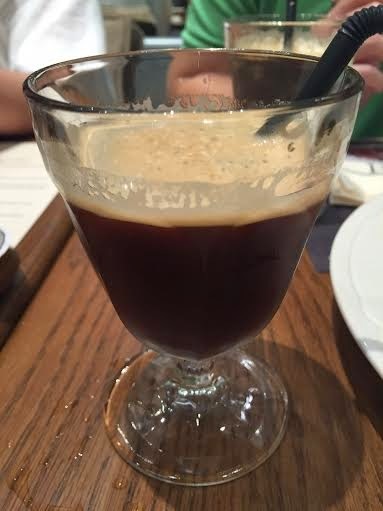 We also had a caffeine drink known as a Shakerato. This is a double espresso shot shaken with ice and then strained. Available flavours included original, vanilla, butterscotch, hazelnut and caramel. We ordered the butterscotch and vanilla. The Shakerato is very pleasing on the taste buds; translation, yum! 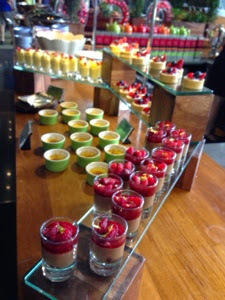 Now onto the desserts; by this time, it was turning into a feast rather than a tasting. 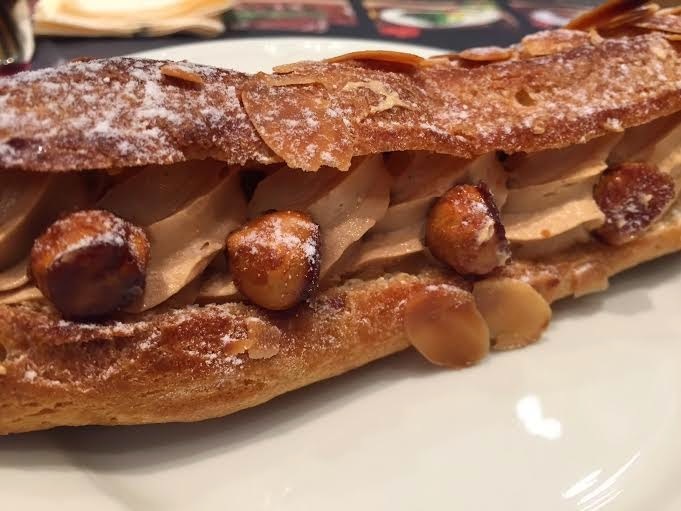 Eclair Paris-Brest. 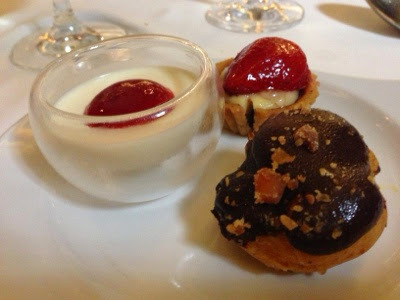 Traditional choux pastry with hazelnut cream. We bit into this and was sent straight to heaven. The hazelnuts were nice and crunchy! It was so good that we wanted another one! The cream was amazing as well and across the entire table, this Eclair was a hit. Gaufre avec glace. Waffle with fresh berries, vanilla ice-cream and a drizzle of homemade chocolate sauce. 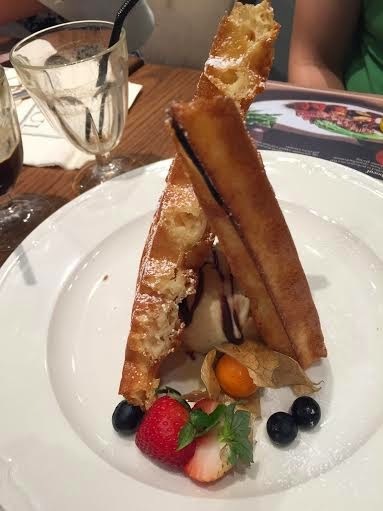 The waffles were nice and crispy and the ice-cream and fresh berries complimented each other very well. The waffles went exceptionally well with the Vanilla ice cream. You could see the characteristic specks of vanilla pod in the ice cream and you knew that this was going to be yummy from the start. 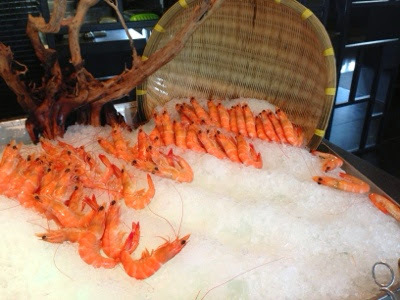 We were invited to PAUL's Marina Bay Link Mall branch. The closest MRT station being the Downton (on the Downtown line), otherwise the other station is Raffles Place (on the North-South line). For other PAUL branches, please see their website. Thank you to PAUL's Marina Bay Link Mall Branch and Ninemer PR for the kind invitation. 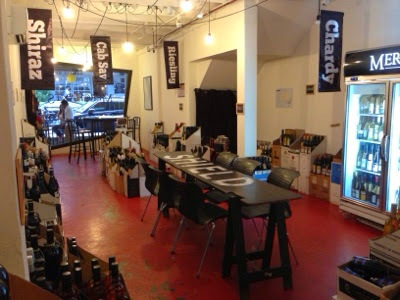 It was a pleasure to be part of your tasting session and you guys were very welcoming. Love the friendly smiles too! 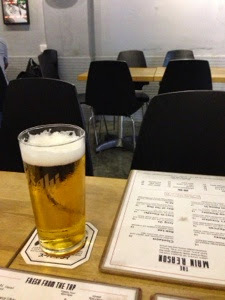 After a long week, it's always great to head to a place for a Friday drink and forget about the outside world for a bit. 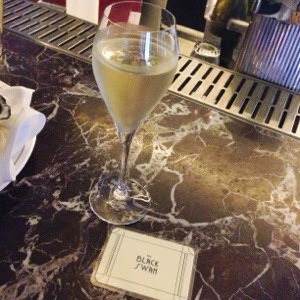 Stepping into the Black Swan is like stepping back into time. You're greeted by Waitresses in lovely flowing Blue Gowns, served by Bartenders with Waistcoats and rolled up Sleeves and an interior that resonates with the 20s. The Gold trimming around the interior really has that Great Gatsby feel. The Black Swan attracts a lively crowd so there is a buzz of chit chat and laughter. Everyone just feels at ease in this place. We decided we'd take up a strategic location at the Bar this time to watch the World around us. It also gave a perfect vantage point to witness the finesse of the Bartenders as they practised the art of mixology. 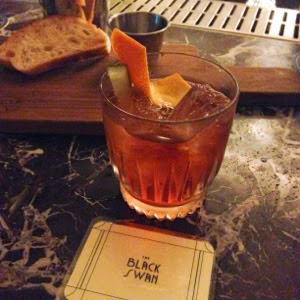 The drinks at Black Swan are fantastic and the Mixologists know their stuff. It certainly didn't feel like a mass production line; each drink was treated with care, never rushed and served with a smile. 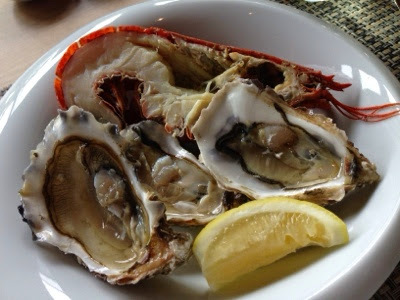 The Oysters were nice and fresh and are shucked onsite. It was what 2 members of the kitchen staff did all night, opening shell after tasty shell. 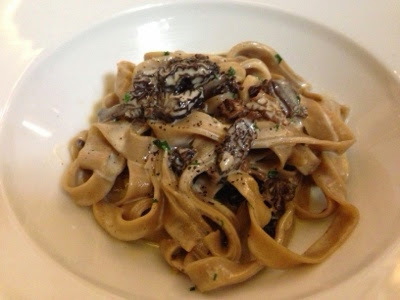 The Truffle Fries proved to be too tempting when they were spied on the food menu. 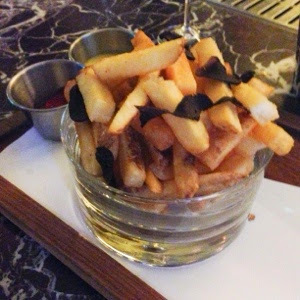 Nice thick Fries arrived and they were even sprinkled with Truffle flakes. They're always a favourite so went down a treat. 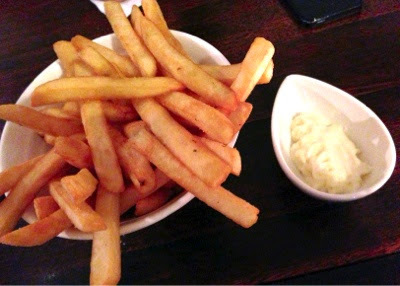 For those of us that like to dip; Ketchup and Aioli was also provided. 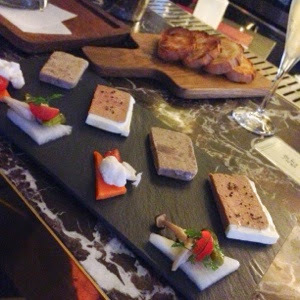 To round off the food side, the Duck Pate and Rilette was also ordered. It was a very generous serve and garnished with pickled Vegetables. 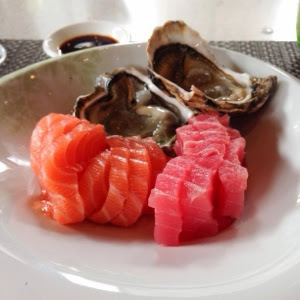 These were great for cleansing the palate and getting the appetite going. The Pate was perfectly smooth; love the fatty outer layer, and the Rilettes were seasoned well. Gotta love the chunky meatiness of it. This was served with a side of toasted Bread. A very heavenly; and possibly sinful, dish. 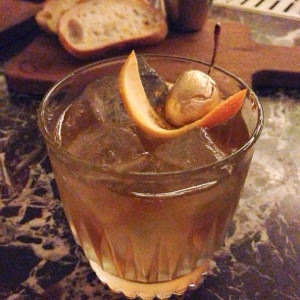 The food is great at Black Swan; but it's time to move onto the drinks, which are a true highlight. We had a few drinks and all were made to an awesome standard. 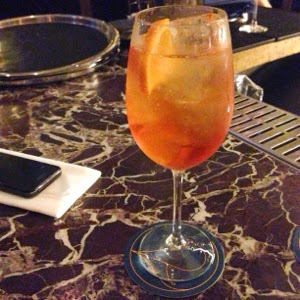 The Aperol Spritz reminded us of our holiday in Italy; our daily aperitivo sessions, and it was made very well here. A perfect blend of Aperol, sparkling Wine and a dash of sparkling Water. It's a perfect drink to start off the evening. We've always loved the bright orange of this drink as well. We also tried a concoction called a Parachute. It is Whisky based so it ensured a punch at the back of the throat after flowing past the taste buds. The drink was also unique in that it had a Cherry that was dipped in sweetened gold food colouring. It made the top of the drink shimmer; but be careful, it might give you gold "lipstick" after drinking it. The food and drink at Black Swan is amazing and the staff take pride in turning their quality ingredients into a quality experience. The atmosphere at the establishment creates a relaxing ambience and you melt into the Great Gatsby world and really begin to relax. Right next door is their fine dining restaurant so it'd be great to try that one night. If you've had a long week or need a great place to let your troubles drift away, check out the Black Swan. 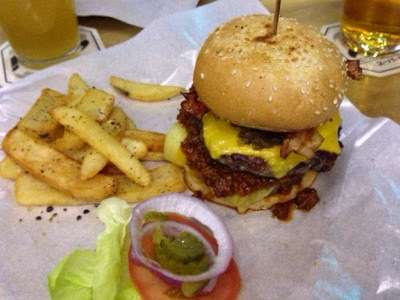 It's in Raffles Place so is even better for you corporate bods after work. Give it a go. What is your fave bar to chill out at?